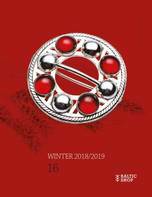 Click here to shop by our 2018/2019 Winter Catalogue. elcome to Balticshop—your online source for fine Baltic gifts! Our mission is to offer you a store with goods from the Baltic countries that are hard to find locally and that reflect the region's culture. We are adding new Estonia, Latvia and Lithuania made items weekly, please bookmark us and come back often!